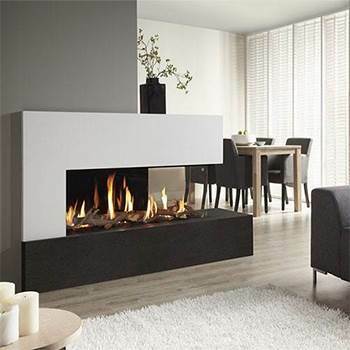 Glass fronted gas fires are not only an attractive design option, they’re energy efficient too. Traditional open-fronted fires draw air from the surrounding room, so heat and energy are dissipated. Conversely, a glass fronted gas fire is a sealed heating system in which air flow is confined within the fire itself and the chimney or flue. This arrangement can achieve energy efficiencies of up to 85% - more than double that of some open-fronted fires. A modern glass fronted gas fire uses heat-resistant safety glass that’s designed to radiate heat effectively, while at the same protecting your home and family. Nexus have a wide range of glass fronted gas fires in stock – including fires by Dru, boasting anti-reflective Clear View safety glass. Other leading-name brands on display at our showroom include Eko, Valor, Flavel and more.